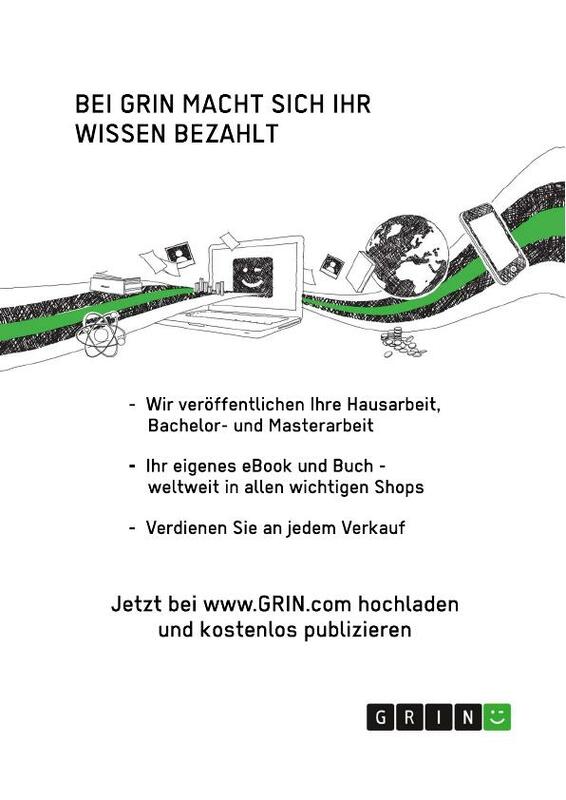 In this essay, I argue that the emergence of digital markets constitutes a break with past social forms. Chapter one will examine the new social order by introducing Michel Foucault’s concept of ‘Governmentality’, followed by ‘algorithmic governance’ as governance by algorithms (governance by technology). I will outline how algorithms are not only shaped by humans but also shape humans and co-determine how social reality is organized. Chapter two will focus on how algorithmic governance and dark net as a space of anonymity pose challenges to society and to current forms of regulation and policing. 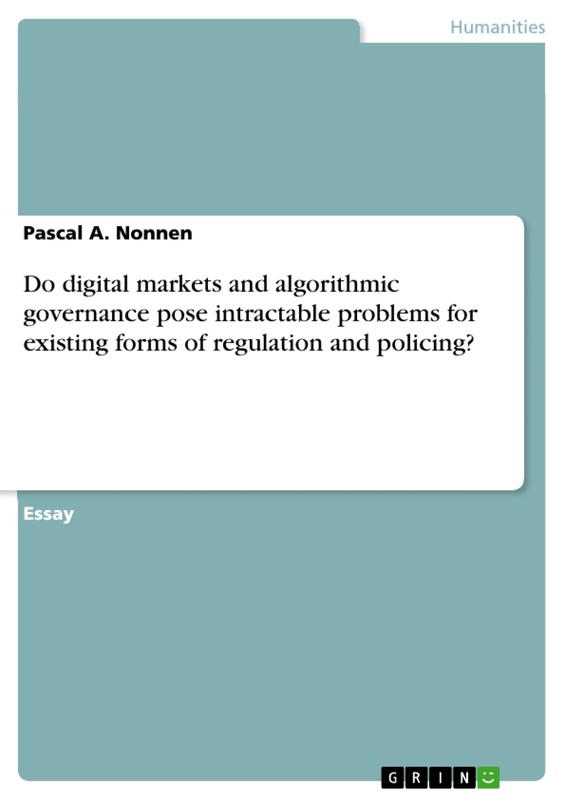 It will also discuss whether, and to what extent, authorities can respond to the particular problems raised by digital markets and algorithmic governance. This essay will conclude that algorithmic governance and dark net as a space of anonymity confront both society and authorities with intractable regulatory problems. Due to the rise of a new social order, various effects such as secrecy, opacity, and inscrutability complicate regulatory responses on the part of authorities. As all members of society become more dependent on complex technology, it will be impossible for authorities to tackle the effects of algorithmic governance and dark net as a space of anonymity as a whole. 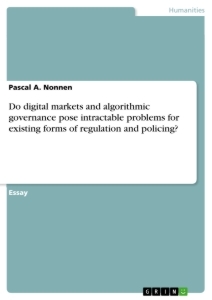 "This is an excellent essay that addresses the question of whether digital markets pose intractable problems for existing forms of regulation and policiing – answering strongly in the affirmative.  The writing is eloquent, fluid and well-structured. I was happy to see an introduction with a confident articulation of the argument and good signposting of the contents of the essay. The theoretical components are treated with care and understanding. The more substantiave sections of the essay benefit from the use of original and relevant examples to illustrate the points being made."